The Fenway/Kenmore neighborhood may boast one of the nation’s oldest ballparks—but its reputation as a dining destination is all but brand-new. Once upon a time, hungry Sox fans would have to take their chances with the sausage carts. These days, there’s a whole lot more to this area’s culinary bona fides than Fenway franks (though those remain as craveable as ever). 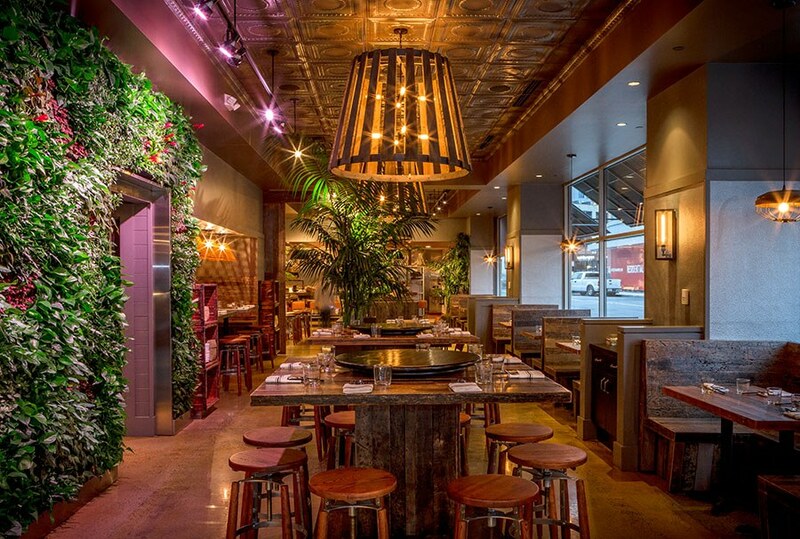 Here’s our guide to the Kenmore Square area’s best eats and drinks. Back in high school, Charlie Bennett had an unsuccessful tryout with the Red Sox. Decades later, the late sandwich shop founder’s legend lives on among the Fenway faithful—only not through a baseball career, but Philly cheesesteaks and Italian subs instead. The recently opened Fenway outpost of this Maine institution serves up hearty sandwich fare, including cheese-laden BLTs, chicken fajitas, and—yes—those famed lobster rolls, all best enjoyed on the sunny patio. Earlier risers can start the day off right with Bennett’s hearty breakfast sandwiches. 84 Peterborough St., Boston, 857-239-9736, bennettssandwichshop.com. 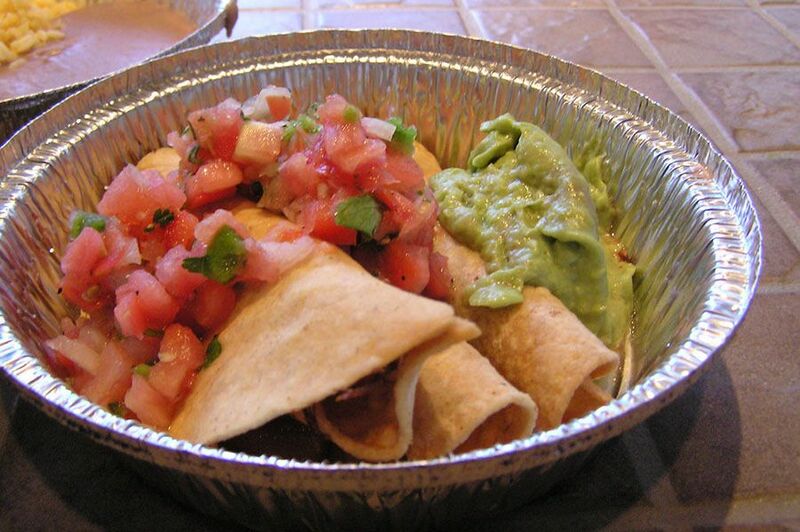 This plucky taqueria has burned down not once, but twice; lucky for us, though, it seems it’ll take a lot more than that to chase the legendary El Guapo burrito away from Peterborough Street’s Restaurant Row. El Pelón fans are famously devoted—and it’s not hard to see why, if you’ve ever tried those enormous, habit-forming burritos, the carne asada and carnitas juicy and perfectly seasoned. Wash it all down with authentic south-of-the-border bevvies like Jarritos sodas or Mexican Coke. 92 Peterborough St., Boston, 617-262-9090, elpelon.com. The New England clam shack gets a spiffy makeover at Eventide Fenway, a sleek space where flat screens display the menu and text messages notify you when your order’s ready. Don’t let the high-tech polish fool you: The brown-butter lobster rolls and raw bar are just as phenomenal as anything you’ll find on the Maine seacoast. The same holds true for their gourmet take on the Fenway Frank (a game-day-only special) and their awesome soft serve ice cream sundaes. 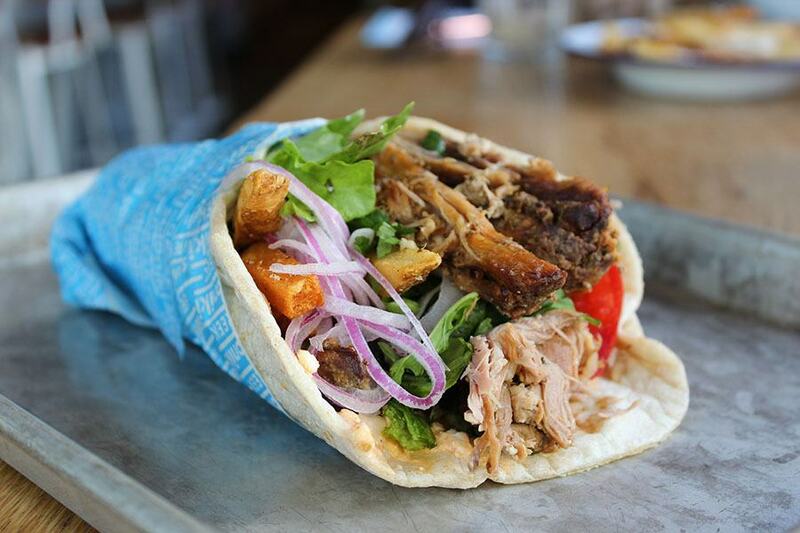 If the Greek radio playing over the loudspeakers doesn’t transport you to Athens, then Saloniki’s warm pitas and char-grilled souvlaki certainly will. At Jody Adams’s ode to the old-school gyro shop, the acclaimed chef adds a modern twist to traditional Greek favorites, with such offerings as the Niko (lemon-oregano grilled chicken, tzatziki, and a tart secret sauce) or the Katerina (roasted eggplant topped with red pepper-sesame sauce and olive tapenade), available as a plate or in a pita. Don’t forget the Greek fries, dusted with myzithra cheese. 4 Kilmarnock St., Boston, 617-266-0001, salonikigreek.com. It’s more than just a flair for ’90s pop culture (the name is a nod to a choice Samuel L. Jackson quote from Pulp Fiction) that sets Tasty Burger apart. 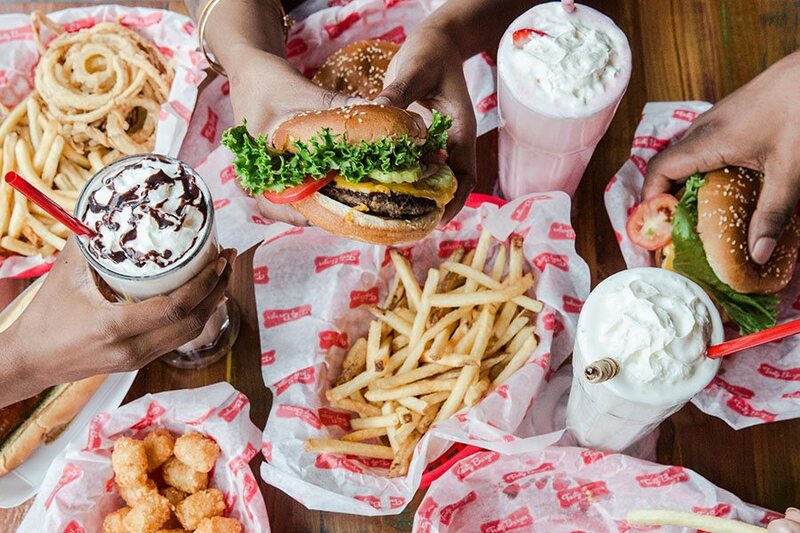 Simply put: It’s is the quintessential American burger joint done right, complete with juicy burgers, crispy fries, thick shakes, and an upscale-snack-shack atmosphere complete with cold beer. Decadent combos topped with chili or fried eggs might beckon—but when in doubt, go with the classic Big Tasty, a no-frills cheeseburger that embodies perfection in simplicity. No wonder it’s the official burger of the Red Sox. 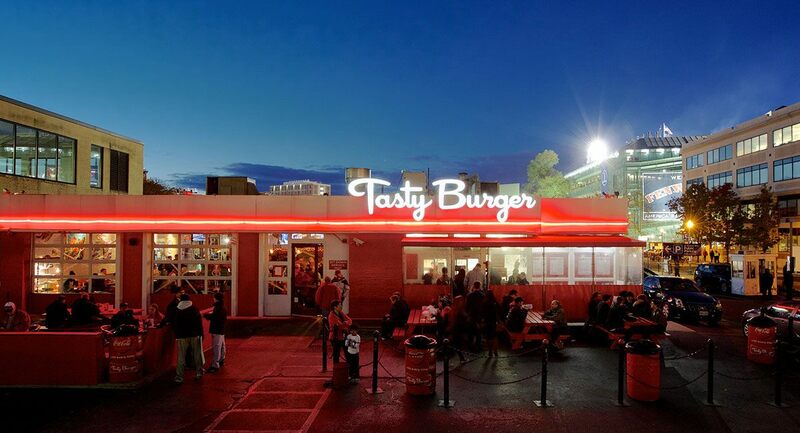 1301 Boylston St., Boston, 617-425-4444, tastyburger.com. 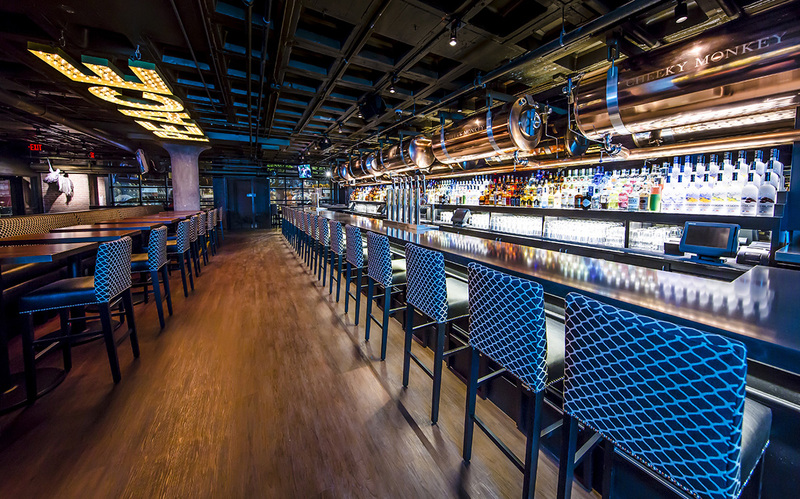 This one-of-a-kind watering hole has bragging rights that no other bar does: namely, that it boasts a direct view of Fenway Park’s third base, from right below the Green Monster. 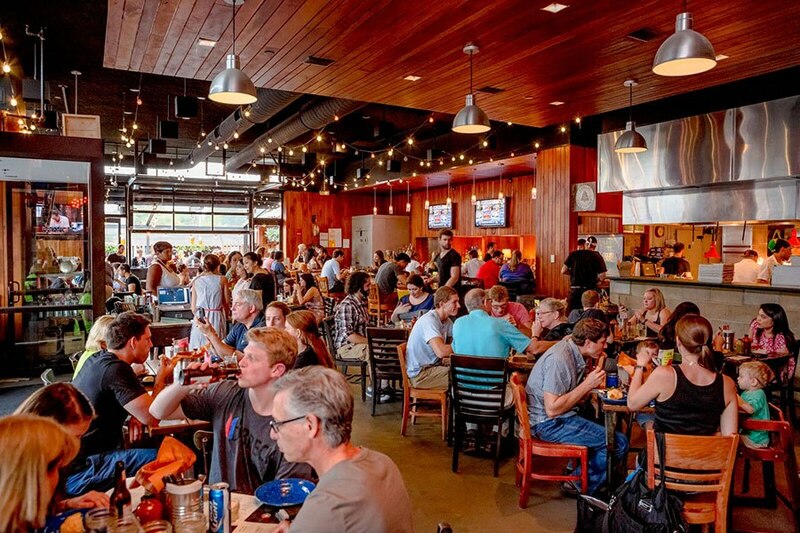 Originally, the location served as the visiting team’s batting cage; now it hosts hordes of sports fans ready to knock back bottles of Harpoon and Sam Adams and see Mookie Betts knock one out of the park. 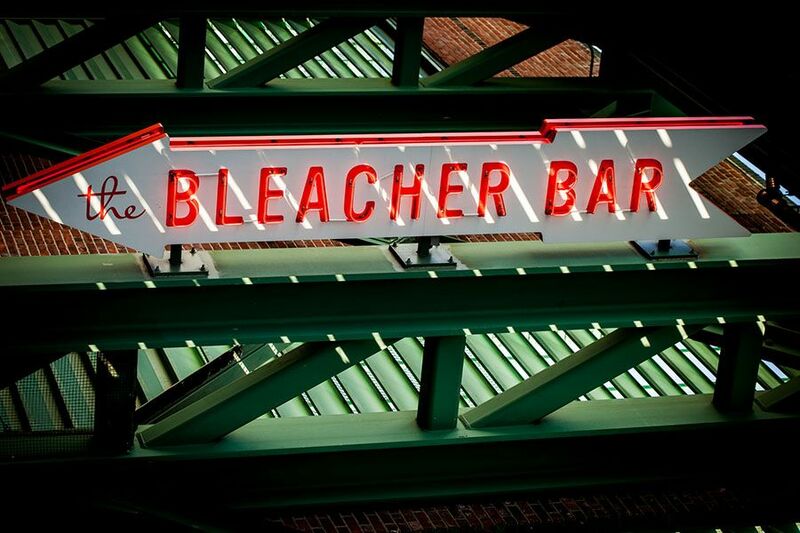 Unsurprisingly, the place gets packed on game days, but the amped-up atmosphere only adds to the experience—so when you can’t score Sox tickets, you know where to go. 3 Lansdowne St., Boston, 617-262-2424, bleacherbarboston.com. A sign of changing times on Lansdowne Street, what once was sweaty dance club Tequila Rain recently transformed into a brewpub. Perhaps taking a cue from nearby OG Boston Beer Works, Cheeky Monkey makes beer on site and serves six house brews on draft, including a double IPA, a blueberry wheat beer, a pale ale, and a stout. 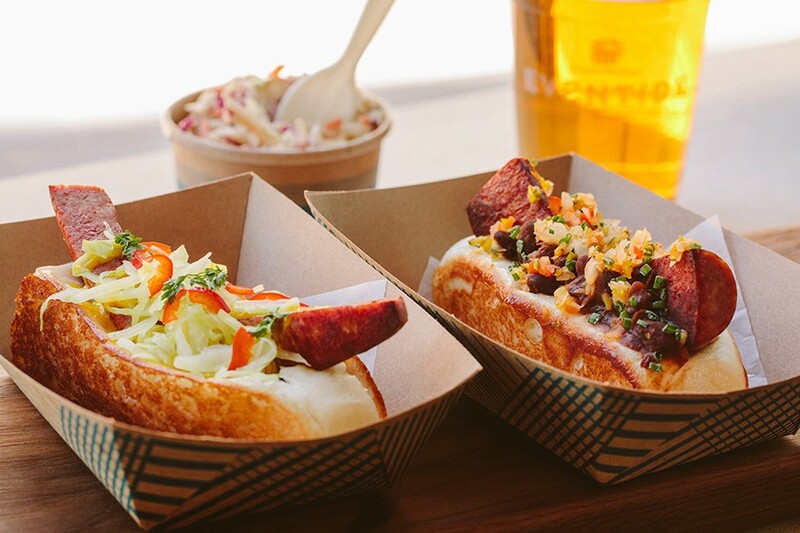 Chef Jessica Brown’s international street food menu, meanwhile, focuses on fusion, with hoisin-glazed chicken wings, Cajun “poutine,” and katsu chicken bao. Complete your Red Sox pregaming experience with ping-pong, pool, or shuffleboard. 3 Lansdowne St., Boston, 617-859-0030, cheekymonkeyboston.com. An evening exploring this cozy pub’s vast whiskey selection—which boasts more than 200 options, including single-barrel sips—will reveal why this place is a perennial neighborhood favorite. Bolstering the extensive drink menu is an array of delightful bar snacks, including spicy fried pickles, loaded baby sweet potato skins, and raw oysters galore. Those with bigger appetites (or a larger entourages) should take note of Citizen’s unique pig roast experience: a whole suckling pig slow-roasted 14 hours, plus a plethora of fixin’s. 1310 Boylston St., Boston, 617-450-9000, citizenpub.com. In his twenties, the Hawthorne bar director Jackson Cannon embarked on a career as a musician. But as fate would have it, his real star turn would not be on the stage, but behind the stick. As one of Boston’s original cocktail luminaries, Cannon helped put Eastern Standard and its bar program on the map, and he’s done the same for the sister bar Hawthorne, which nabbed the Best American Hotel Bar award at Tales of the Cocktail’s 2017 Spirited Awards. 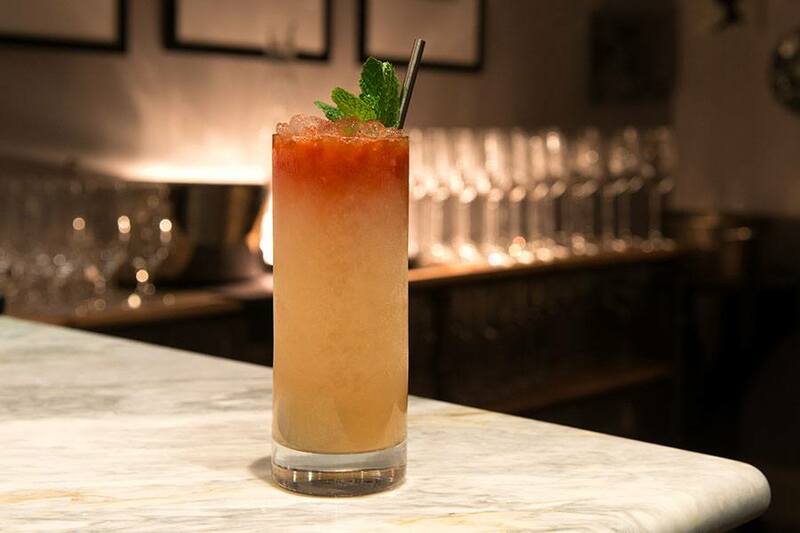 Experience Cannon’s exquisite curation and his staff’s inventive mixology for yourself, in the form of such cocktails as the Left Hand (a Negroni-bourbon hybrid spiked with mole bitters). 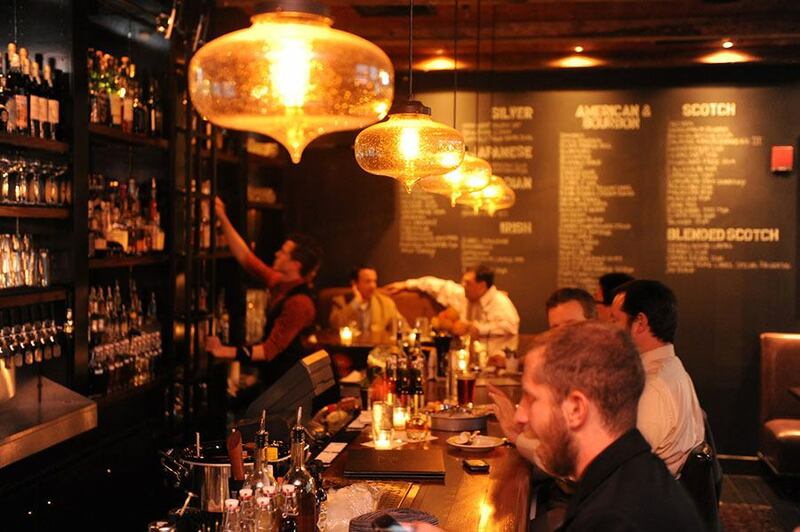 500A Commonwealth Ave, Boston, 617-532-9150, thehawthornebar.com. Once upon a time, the Fenway neighborhood might have been the last place you’d think to look for Singapore street noodles. But that was before chef Tiffani Faison launched this culinary temple of Southeast Asian cuisine. Tame the flames of the fiery pad gra pow with a cool beverage from Tiger Mama’s fun tiki menu, featuring cocktails like Kung Fu Pandan (pandan-infused gin with mango, sesame, green tea, and ginger) or the formidable large-format Octo-Booty (a concoction of coconut, lemongrass, grapefruit, orgeat, and enough rum to stun a kraken). 1363 Boylston St., Boston, 617-425-6262, tigermamaboston.com. In 2005, when Eastern Standard opened on the same site as the legendarily grungy rock club the Rathskellar, it served as a symbol of the changing face of Kenmore Square. Now 13 years and innumerable whiskey smashes later, it’s attained landmark status of its own. 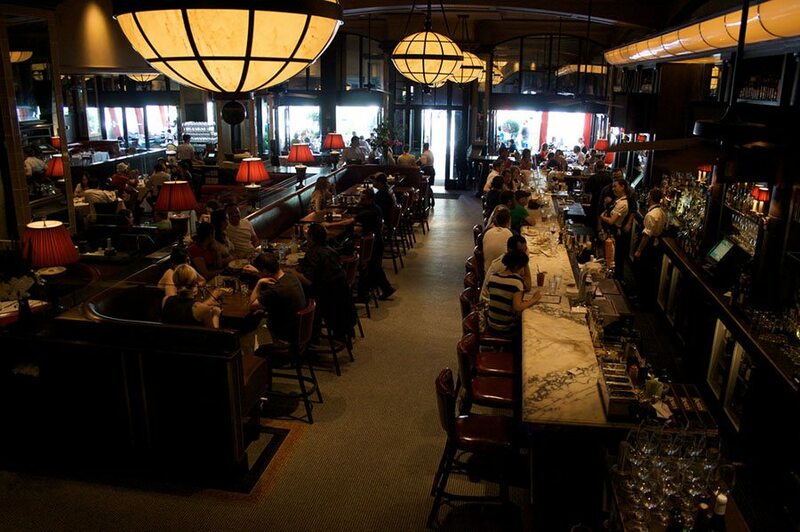 Combining the elegance of a French brasserie, the intimacy of a dinner party, and the exuberance of a game-day hangout without missing a beat, Eastern Standard entices students, Sox fans, tourists, and power lunchers alike to sink into those red leather booths for steak frites and good conversation. 528 Commonwealth Ave., Boston, 617-532-9100, easternstandardboston.com. 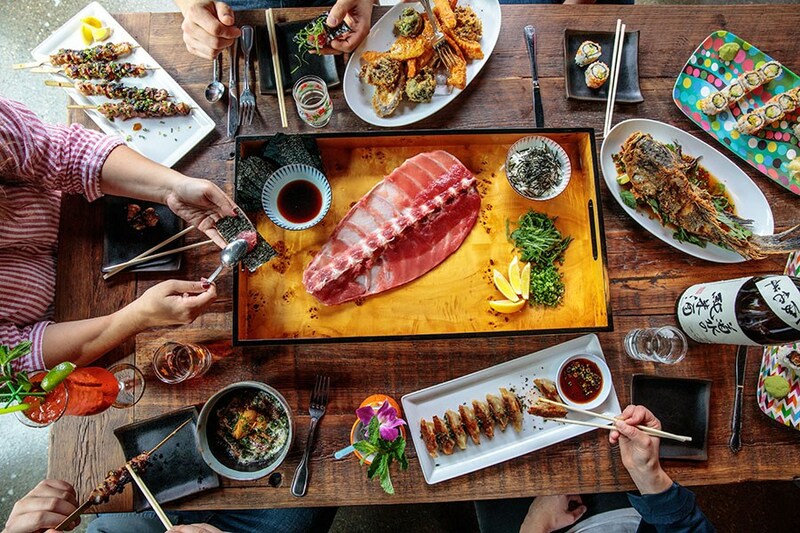 Poolside al fresco dining, torched uni, Japanese pop art decor, sake bombs—honestly, what more could you ask for in an izakaya dining experience? O Ya owners Tim and Nancy Cushman show the playful side of their flawless Japanese cuisine, with Technicolor frozen cocktails and dishes like wasabi roulette (complete with a baby bottle of horchata for the loser/winner). The rollicking atmosphere means you’re here for a good time, and often, a long time—there’s a reason for the midnight munchies menu here. 1271 Boylston St., Boston, 617-670-0507, hojokoboston.com. 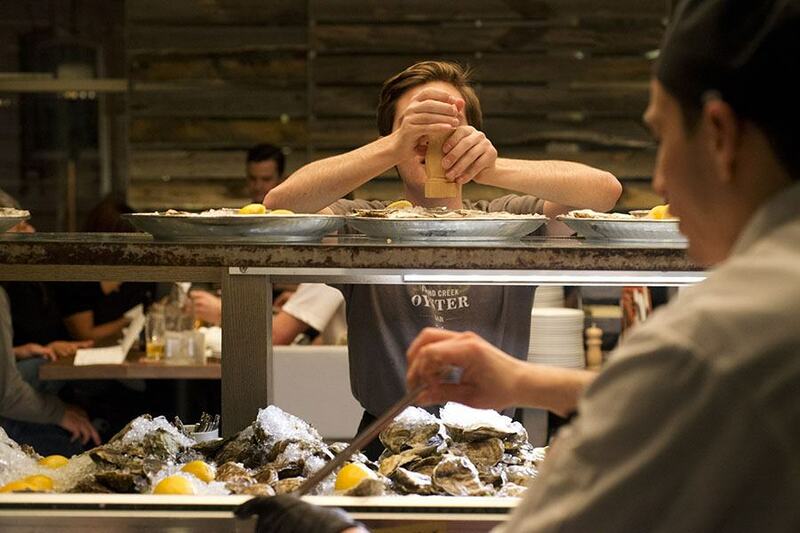 In the wake of news that Island Creek launched a raw bar at its Duxbury farm, we’re excited to have the opportunity to enjoy those oysters right at the source of their “merroir”—and yet it also reminds us how lucky we are that these pristine bivalves come right to us, every day of the week. So save your trek down to South Shore for another day, and duck into this Kenmore bar, where New England oysters, inventive crudos, and zesty ceviches await. For years, city-dwelling carnivores bemoaned Boston’s lack of decent barbecue. Then Tiffani Faison came along and reversed that particular curse by importing some serious Southern swagger—not to mention impeccably sourced meat, loading up patrons’ butcher trays with New England–raised beef and Berkshire pork. Though Sweet Cheeks’ brisket is a thing a beauty, the real star of the menu has to be those flaky biscuits, baked to perfection and ready to play the perfect foil to a heaping helping of pulled pork. 1381 Boylston St., Boston, 617-266-1300, sweetcheeksq.com. Billing itself as an “urban oasis,” Tapestry makes good on that promise with breezy tropical vibes. For an evening of globetrotting dining, head to the palm-frond-bedecked Club Room, where the eclectic menu runs the gamut from tuna poke to pistachio-laced triangoli pasta. Seeking something more casual? Try the Expo kitchen, where the Mystic saison flows and the Neapolitan pizzas come piping hot out of the wood-fired oven. 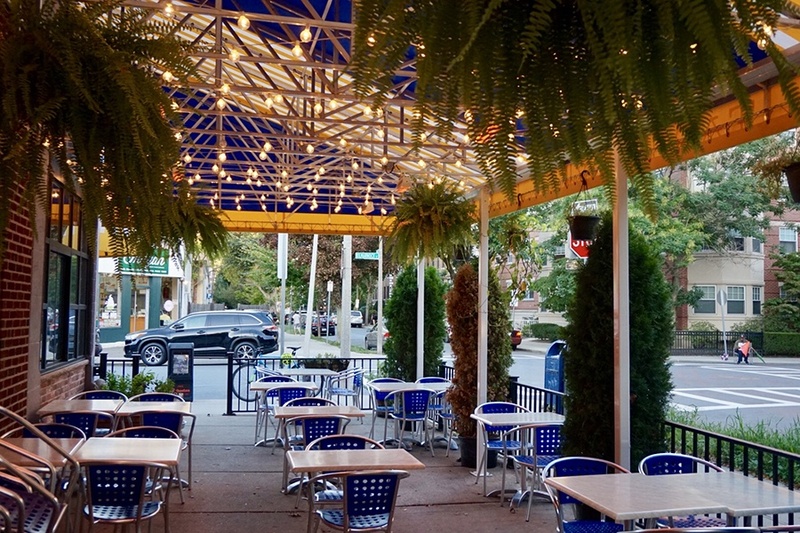 Throw in a shade-covered patio, and it’s no wonder this dual-concept spot has become a dependable neighborhood staple. 69 Kilmarnock St., Boston, 617-421-4470, tapestry.restaurant.